French soldiers have been given permission to ‘open fire’ at yellow vest protesters if they are deemed to endanger lives at riots this weekend. The military governor of Paris, General Bruno Leray, made the statement during a radio interview earlier today (March 22), highlighting the rising political and social unrest faced by President Emmanuel Macron. 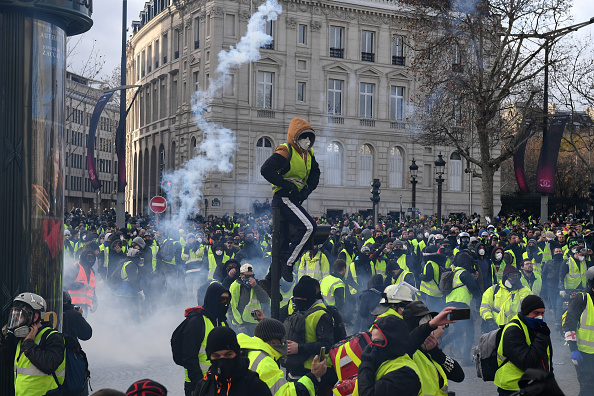 The yellow vests, otherwise known as gilets jaunes or yellow jackets, have partaken in 18 demonstrations so far across 18 consecutive weekends – and this weekend will mark the 19th. 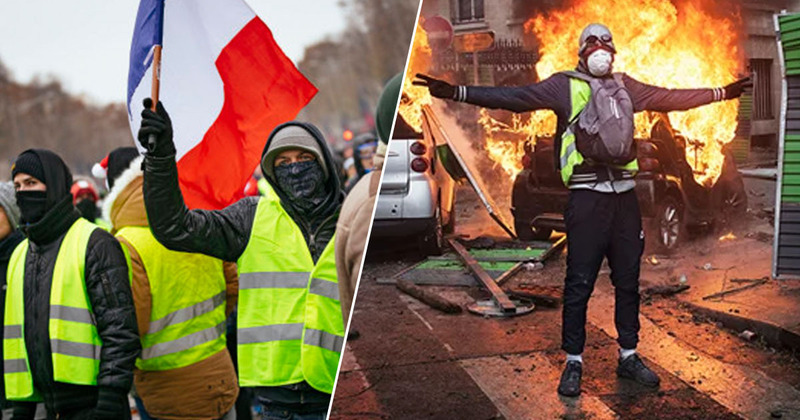 As the protests become increasingly violent, with the Daily Beast reporting more than 60 people were injured in last weekend’s demonstration alone, it has been confirmed the French Army will now be stepping in. As reported by the MailOnline, soldiers will make their presence known among approximately 5,000 police to ‘keep order’ in Paris this weekend. And if the soldiers deem their own lives to be threatened – or the lives of those they are defending – they have been instructed to open fire, General Leray confirmed. Speaking to Franceinfo Radio on Friday, General Leray said an unspecified number of soldiers – mainly used for anti-terrorism duties – would be defending public buildings this Saturday. If their life or that of the people they defend is threatened, they can go up to opening fire. They are subject to the same legal framework as the internal security forces. They are perfectly capable of appreciating the nature of the threat and answering it in a proportionate manner. General Leray added that soldiers have ‘different ways of coping’ with trouble but that their orders would be clear. As reported by Politico, when asked whether the purpose of his public address was to warn non-violent protesters to stay away from the demonstrations, General Leray said his address was ‘not a political one’. My subject is not a political one. The subject of the soldiers is to continue the fight against terrorism one day at a time, as they’ve been doing for four years. 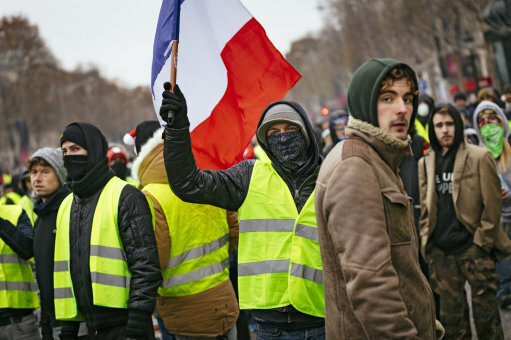 The yellow vests started carrying out weekly protests in November, primarily due to rising fuel prices and a high cost of living. The movement has since escalated, with demonstrators calling on President Macron to resign. 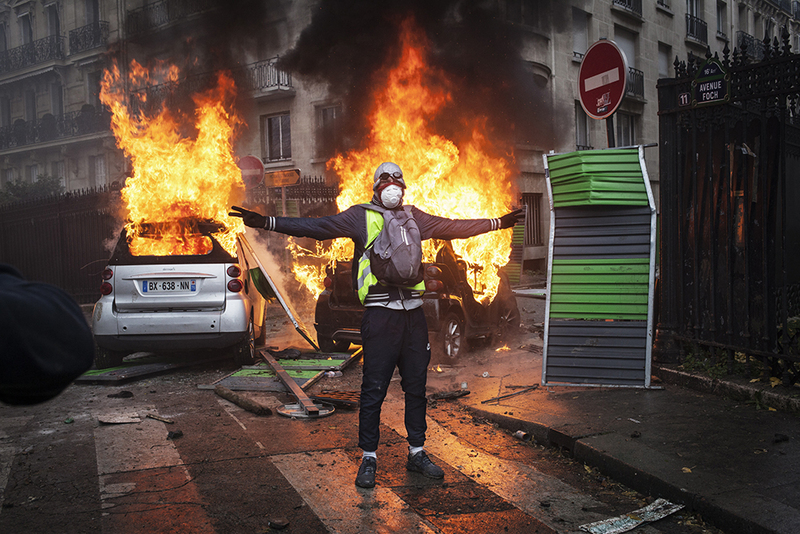 With this escalation, the protests have turned into riots and the violence has gotten out of control – with banks, shops and restaurants getting burnt down. Saturday’s demonstration is expected to be no different, but with the army’s involvement there is no guessing how much violence there will be. Sentinel soldiers mobilized Saturday for the demonstration of "yellow vests": "the orders will be clear enough so that they do not have to worry"